Glass is a good choice for storage because there is no risk of chemicals or dyes leaching into your raw materials or finished products. Glass can also be reused or recycled indefinitely without compromising durability. Amber colored glass bottles ensure maximum UV protection, extending the shelf-life of whatever you put in it. 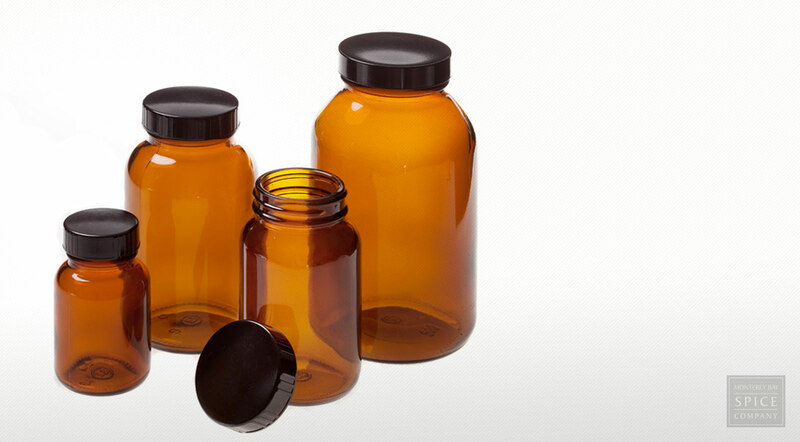 Our wide mouth amber glass bottles are suitable for storing herbal tinctures, extracts and other liquids. However, they can also be used to store herbal powders or capsules. Available in 4 convenient sizes, each bottle comes with its own secure lid.